BBM, also known as Blackberry Messenger is one of the most used messaging app in the world. Though, it has lost its major populated users now but it still has a big amount of followers. Earlier, it was just released for Blackberry smartphones. But, in 2013 Blackberry officially launched it to other major OS platforms i.e Android, Mac and Windows smartphones. Although, it is not officially available for Windows PC or Mac, but still, via the use of emulators, you can successfully run BBM in your PC. If you want to know How to Free Download & Install BBM for PC Windows 7/8/8.1/XP, then read the steps below. Also Read: Download & install Teen Patti for pc windows xp/vista/7/8. Before I elaborate the steps to Free Download & Install BBM for PC Windows 7/8/8.1/XP, let me first explain some of the features and applications of BBM. Also Read: Free Download W3Schools Offline Installer Latest Version for PC, Mobile. Here are some of the features and applications of BBM app. BBM allows you to send unlimited texts, video recordings, audio recordings, photos, files and group chats to your friends all around the world. It is one of the most secured and trusted messaging app. It has wide variety of smileys, emoticons and stickers which boost your chatting experience. It is a light-weighted app which runs on all major platforms. BBM has a special privacy feature. It uses a special code known as BBM pin instead of mobile number to authenticate your privacy. Only persons with your BBM pin can text you or contact you. Also Read: How to Download Torrent Files from IDM for Free – 5 Best Sites (Torrent to IDM). 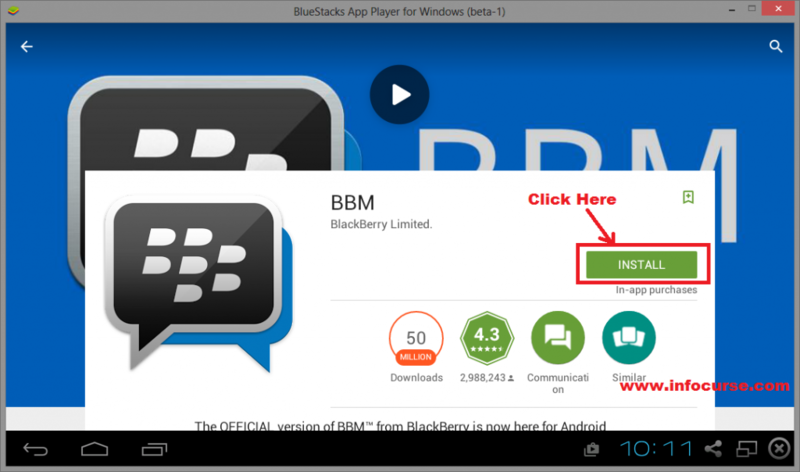 Now, read the below step-by-step tutorial guide to Free Download & Install BBM for PC Windows 7/8/8.1/XP. To run BBM in your PC, you need to download an emulator called Bluestacks in your PC. So, at first, Download Bluestacks from here. You will need internet for this installer. But if you want to Download Bluestacks Offline installer, click here. Now, a shortcut icon of Bluestacks will be created on your desktop after installation is finished. Double click on the icon to open Bluestacks. 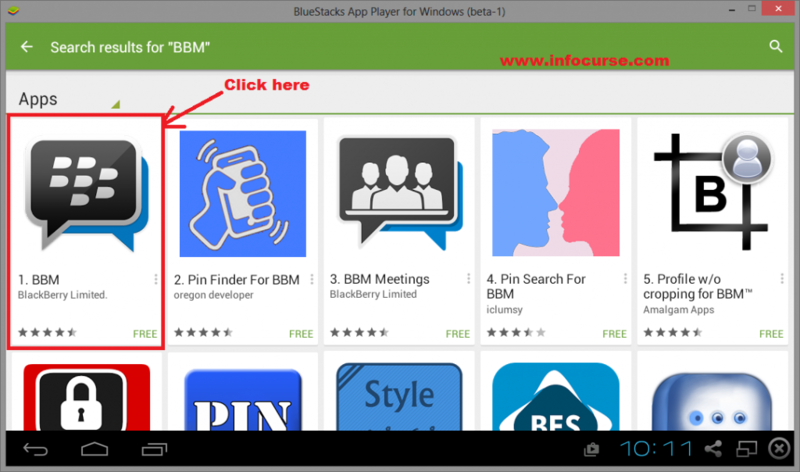 Now, go to Search tool of Bluestacks, search for BBM and press Enter. Now, click on the BBM icon at the search result page. Now, click on the install button as shown in the below image to start the installation and wait for some time. (Remember you need internet connection for this procedure). Once the installation is completed, go to Bluestacks Home Screen>>All Apps. You will see the BBM icon here. Click on it to run BBM in your PC. That’s it. You’re done. 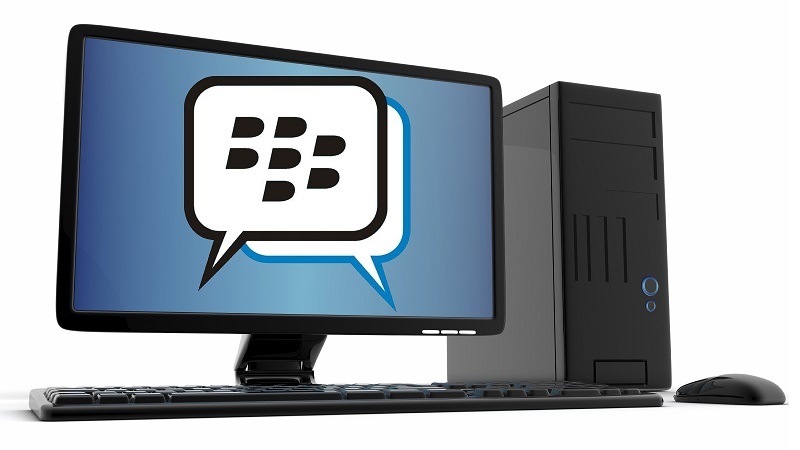 You have successfully Downloaded & Installed BBM for PC Windows 7/8/8.1/XP. Also Read: Top 5 alternatives to Bluestacks android emulator – Run android apps without bluestacks in PC. Previous articleBest android apps available for Tizen smartphones. Next articleHow to put your iphone in DFU mode.